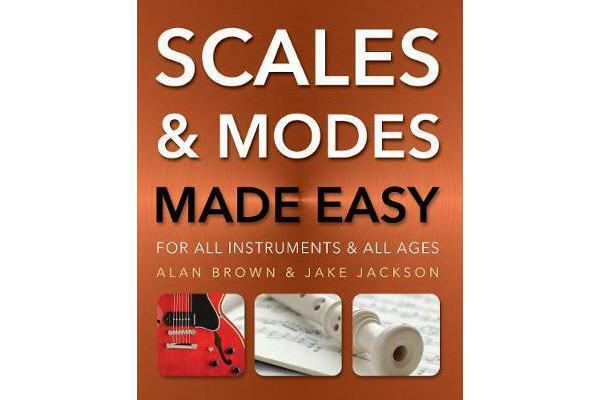 “Scales & Modes” is a excellent guide for musicians of all genres and players of all instruments. Alongside chords, scales and modes are the building blocks of music and are very important to know, particularly for composition and improvisation. 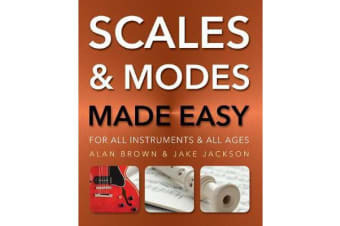 Featuring 20 of the most commonly used scales and modes in each of the 12 keys, this book is great for those who wish to improve their playing technique and for those looking to write and arrange their own melodies. Created by musicians for musicians, with clear notation and accessible text this is an ideal resource for musicians of all abilities. Supported online by our “See it * Hear it” chord site. Now you can see the chord, then reach for your phone and hear the chord. Using any free QR code reader app (Android, iPhone, Blackberry, Windows) a web site opens automatically and you can listen to the chord as a strum, an arpeggio (each note played separately) and hear it as a piano chord and arpeggio.